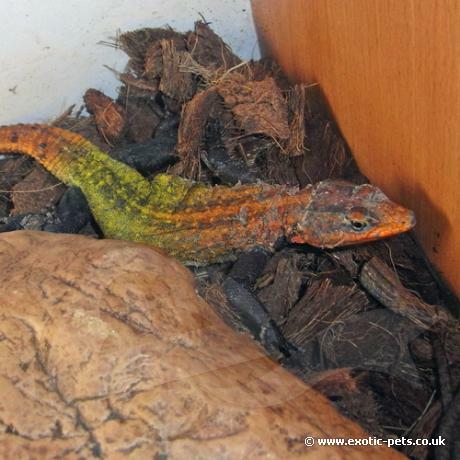 The Emperor Flat Rock Lizard can be found in savannahs of Zimbabwe and Mozambique in Africa. Males are colourful compared to females which are black with cream stripes. Adults reach a body length between 10 to 15cm.